Illegal fishing accounts for about 30 per cent of catches by industrial foreign fleets in Sierra Leone, says a new study published in Marine Policy. The paper states that, in the past decade, industrial foreign vessels have increased their presence and illegal activities in Sierra Leonean waters either on their own or by enticing small-scale fishers into illicit partnerships, such as acting as transshipment vessels in nearshore areas. Reduced monitoring, control, and surveillance, related to the withdrawal of development aid, is spurring unlicensed operations, researchers say. 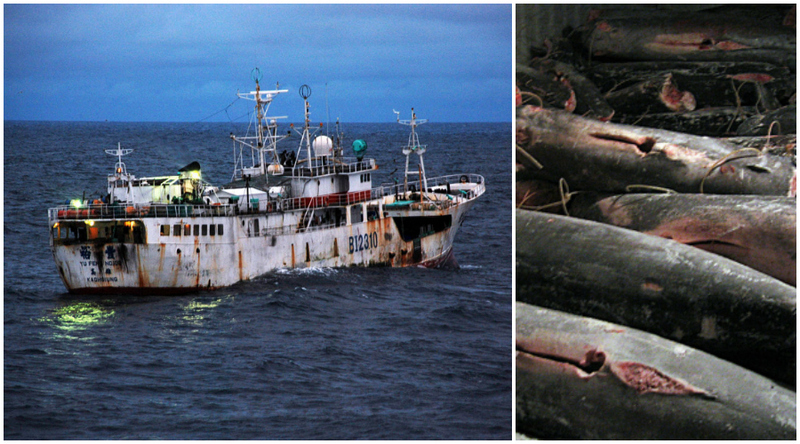 The study estimates that more than 42,000 tonnes of fish were caught illegally in 2015 alone. On top of this, most of the West African country’s industrial fishing is carried out –both legally and illegally- by foreigners using destructive bottom trawl gear. In some years, foreign catches approached or surpassed the limit of how much could sustainably be fished from Sierra Leone’s Exclusive Economic Zone. “This has profound impacts on the lives of local fishing communities,” says Katy Seto, the lead author of the study. 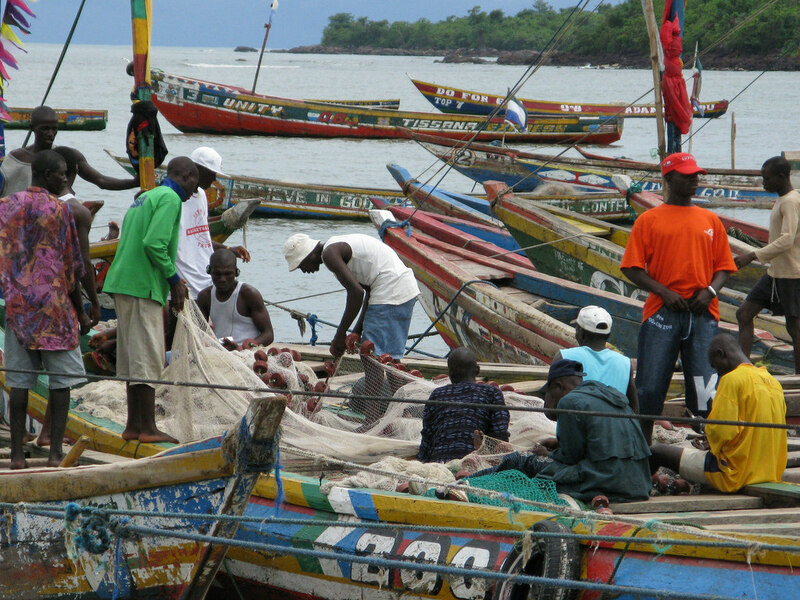 Using the Sea Around Us’ catch reconstruction method, which complements the Food and Agriculture Organization’s fisheries data by incorporating unreported catches, the researchers were able to provide comprehensive estimates of how much fish was really caught by the industrial and small-scale sectors and under what circumstances from 1950 to 2015. Their results show that total catches were over two times higher than what FAO reported. Substantial challenges to fisheries governance, lack of infrastructure, and weak enforcement capacity to exclude illegal actors explain the numerical gap. “While Sierra Leone’s authorities are actively fighting illegal fishing, structural and financial limitations represent major threats to the country’s fisheries sustainability,” Seto says. These threats further compound existing challenges to food security, livelihoods, and economic growth in a country ranked as one of the poorest in the world and still recovering from a deadly civil war and a recent Ebola epidemic. Local officials are also striving to know more about the state of their fisheries, and are considering incorporating the catch reconstruction method into their statistical system, says Dyhia Belhabib, a co-author of the study. This is important because “by knowing what and how much each sector is catching, particularly those that are underreported, they will be able to prioritise better,” Belhabib adds. Sierra Leone’s Tombo Fishing Village. Photo by BBC World Service, Flickr. The paper “War, fish, and foreign fleets: The marine fisheries catches of Sierra Leone 1950–2015” is a joint research by scientists from the University of California at Berkeley, the Sea Around Us project, based a the University of British Columbia’s Institute for the Ocean and Fisheries and the University of Western Australia, and five other organizations and institutions.